The Netherlands take on Scotland in what promises to be an exciting start to the series. For the next couple of days, the upcoming cricket nation of Oman serves as hosts to three promising sides in Ireland, Netherlands and Scotland as the aforementioned quartet play each other in a quadrangular series being held in the capital, Muscat. In the first of the six matches being played at the Al Amerat Cricket Ground, Netherlands take on Scotland in what promises to be an exciting start to the series with the likes of Ryan ten Doeschate and Calum MacLeod on either side. The prevalent temperature during the early hours in the Gulf nation will test the two sides as both teams look to strike first on a competitive pitch on Wednesday. Kyle Coetzer(C), Richie Berrington, Matthew Cross, Ally Evans, Chris Greaves, Michael Leask, Calum MacLeod, George Munsey, Adrian Neill, Safyaan Sharif, Ruaidhri Smith, Hamza Tahir, Craig Wallace and Mark Watt. Scotland have called up a couple of new names for the series with an eye on the future. Adrien Niell is an exciting prospect who utilizes his pace and height to full effect with the new ball and has been likened to Billy Stanlake. Calum MacLeod and Richie Berrington will be crucial in the middle overs with their expertise coming in handy. Batting depth is key for Scotland with Mark Watt and Matthew Leask also capable of dealing a few lusty blows towards the end. Possible XI: Coetzer (C), Munsey, Cross(WK), MacLeod, Berrington, Wallace, Leask, Watt, Sharif, Tahir/Neill and Evans. Ryan ten Doeschate and Stephan Myburgh return for the Dutch, who are capable of inflicting heavy damage upon any opposition with their explosive batting prowess. Captain, Seelar and van der Merwe will be key with the ball while the pace duo of van Gugten and Meekeren are expected to strike early to put pressure early on upon a formidable Scotland side. O'Dowd could play at the top of the order with the handy spin also providing an outlet of spin for the Dutch. Possible XI: Cooper, Myburgh, Baressi, ten Doeschate, Seelar(C), Edwards(WK), van der Merwe, van Gugten, Klassen, Meekeren and ODowd/Snater. Wicket-keeper: Matthew Cross is an explosive batsman and with a good wicket to bat on, Cross could be the ideal pick to go along with in your fantasy team. Scott Edwards has also proven himself handy with the bat but his relative batting position could be major put-off. Batsmen: Kyle Coetzer and Callum MacLeod are two of Scotland's best with both of them performing exceedingly well for them over the past few years. Along with Ben Cooper, both of them are very clever picks to go for as well. Stephan Myburgh's exploits in 2014 ICC World T20 are reminiscent of his batting ability and with the first six overs holding the utmost importance in the match, he should be opted for without any doubt. Wesley Baressi could also be a viable option and slot in for either Myburgh or Cooper in the side. All-rounders: Ryan Ten Doeschate and Richie Berrington are quality fast-bowling all-rounders who are key to their side's fortunes with their ability to score quick runs and pick up crucial wickets in the middle overs. Roelof van der Merwe could also be a great selection in the side with the Somerset all-rounder's spin something to watch out for. Bowlers: Fred Klaassen, Safyaan Sharif and Mark Watt are the preferred set of bowlers to have in the side. Mark Watt has for long been a consistent performer for Scotland in the format and should be backed to put in a good performance on Wednesday. Timm van der Gugten is also a great option to have in the side along with Evans. Captain: Ryan ten Doeschate and Calum MacLeod are the front-runners for the spot of captain with their record justifying the claim. Ten Doeschate is coming off a wonderful BPL season with the Rajshahi Kings and should be backed to continue in the same vein of form. 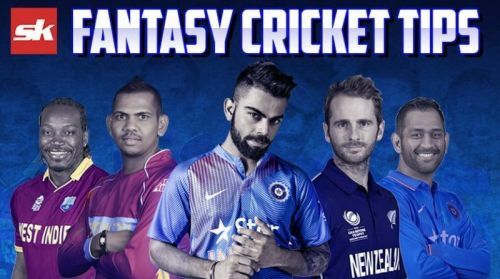 Stephan Myburgh and van der Merwe are a few other options available to fantasy players as well.